It’s the holy day for sports foodies and second only to Thanksgiving for eating calorie-laden foods. 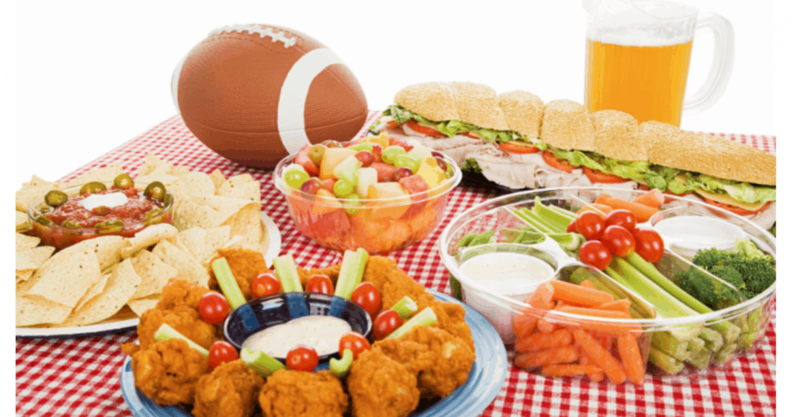 In order to give you some perspective, what follows are a few of your favorite Super Bowl foods and what it takes to burn them off. Yes, you can enjoy this one-day splurge; however, the concept helps to illustrate the cost of various foods in a language you can understand. The reality is that better techniques are needed to help consumers make lower calorie #food choices – and this is a great opportunity to send that message (I’ve even completed a study on the topic: see http://bmcobes.biomedcentral.com/articles/10.1186/s40608-014-0021-5.) So read on to make sure your choices are splurge-worthy. Yes, it’s 720 calories, and you would have to run109 football fields (100 yards each) at an average speed of 5 mph. The average walking pace is approximately 3 mph. Fit Tip: Fit Tip: Get thin crust pizza with veggies and eat it for lunch, not just as a half-time snack. A handful, or about 1ounce (30 peanuts), is 166 calories. Fit Tip: Nuts are healthy. Peanuts are packed with nutrients, including vitamin E, folate, fiber, niacin and magnesium. One of the best things about peanuts is that they contain a large amount of protein, and protein helps to keep you feeling full longer. But they’re also very high in calories. Don’t keep a huge bowl in front of you. And try to eat one at a time; don’t shove a handful at a time in your mouth. Each chip is 10.5 calories, and every dip of dip is 60 calories. Fit Tip: Try popped or baked-style chips, and make your dip with low-fat mayo or non-fat yogurt. That’s a lot of waves!! Deep-fried chicken is very high in calories. Believe it or not, the extra crispy has fewer calories. Two KFC drumsticks have 320 calories. Fit Tip: Coat skinless chicken with whole-grain bread crumbs and bake it. Beer and football just go together, but keep in mind, each beer is 145 calories. Fit Tip: Planning to have a few bottles? Best bet is to try sampling a few very light beers before the game to see which ones you prefer. This is a serious dip that includes refried beans, olives, guacamole, sour cream and cheese, and it costs about 30 calories per dip (tablespoon) with an additional 70 calories for five restaurant-style chips. The grand total is 280 calories. Fit Tip: If you make the dip yourself, try using low-fat cheese and sour cream and black beans, not refried. Or you could always switch to salsa: 2 tablespoons have only about 15 calories. Also, go for light or baked chips instead of fried. According to The Wall Street Journal, there are only about 11 minutes of actual ball-playing in a football game. That means you need to play almost seven games of professional football to burn off the nachos. Each restaurant-style chip has about 14 calories. Now add cheese, beans, ground beef and peppers. Just six nachos will cost approximately 569 calories ­ not to mention the sour cream and guacamole for another 200 calories. Fit Tip: You can always make the nachos with low-fat cheese and black beans. Use salsa and low-cal chips and you’ll be even better off. Ribs are good, but they’re packed with calories ­ as if you didn’t know. They’re fatty, and the sauce is sugary; altogether that’s 900 calories. And don’t kid yourself, cheerleading is serious, hard work. Fit Tip: Try making them yourself, trimming all visible fat before and after cooking. Also, instead of coating your ribs with an excessive amount of sauce beforehand, partially cook them loaded with seasonings, brush them lightly with the sauce, and then finish cooking. The wings are fried and high in calories, and that blue cheese dressing can be caloric suicide. Just five chicken wings with hot sauce and 3 tablespoons of blue cheese dressing have 599 calories. Fit tip: Use the hot sauce without the blue cheese, and make the wings yourself. Go skinless, and bake them instead of frying. With all that football action to distract you, you probably won’t even notice the difference. Yes, I’m talking about five regular pretzels out of a bag (e.g., Rold Gold Classic Pretzels). They add up to about 60 calories. For some reason people think pretzels are healthful. Well, they don’t have fat, but they also have no nutritional value. 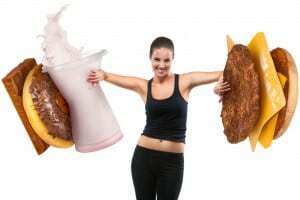 Fit tip: Make sure you avoid those pretzels that are loaded with cheese ­ wow, are they high in calories. The chips are about 13 calories each, and each scoop of guacamole is at least 25 calories, for a total of 76 calories. Guacamole is high in calories, but the good news is that avocados are packed with antioxidants, vitamins B6, C and E, as well as folate and potassium (60 percent more potassium per ounce than bananas), and they’re a great source of monounsaturated fat, which studies have shown reduces serum cholesterol levels when used in place of saturated fats. Fit Tip: Don’t sit with a big bowl of chips and guac in front of you while you mindlessly watch the game. Is popcorn healthy? Yes, it’s a whole grain and can be a great snack. However, if you add butter and lots of other high calorie toppings it can lose its health status. Fit tip: Try air popped popcorn or make it with cooking spray in a pan covered with a lid or screen. You ever see some of the fans who get their faces painted? Meatball subs are loaded with…well, meat, cheese, bread and sometimes other stuff too. So they’re high in calories–about 850. Fit Tip: Try using turkey meatballs, pita bread, and light cheese. Cleaning up after a party is never easy – the dishes, the food all over the house–it feels as if it never ends. And just one Dorito has 12 3/4 calories. Imagine if you had a couple of handfuls (about 280 calories). It could even make you think twice while watching that fabulously cool commercial Doritos puts on for the Super Bowl. Fit Tip: Look, if you have only a few chips, I think you’ll be fine. But eating just a few is something you have to worry about any time you open a bag of chips. I would normally recommend lower calorie chips, but the truth is you’re better off with something like pistachio nuts or roasted almonds, as long as you don’t have more than 20 of them. If you do have Doritos, don’t sit with the bowl in front of you.